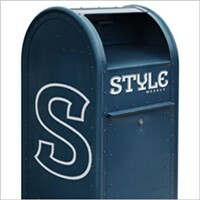 The Forgotten Fighters | Cover Story | Style Weekly - Richmond, VA local news, arts, and events. Richmond's lost spies, belles and heroes from the Civil War. “In the midst of suffering and death … a woman must soar beyond the conventional modesty considered correct under different circumstances,” hospital matron Phoebe Pember wrote after the war. 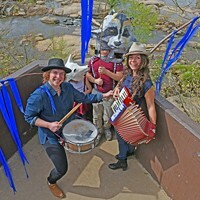 There are no big monuments to Richmond's Civil War women. We came close: Back in the '60s, Monument Avenue almost got a Salvador Dali-designed aluminum statue of Confederate Capt. Sally Tompkins slaying a microbial dragon with a sword. But that's a story for another time. With very few exceptions — first lady Varina Davis, Union spy Elizabeth Van Lew — the women of the war have vanished from Richmond's memory. Which is strange, because women were the ones keeping the besieged, unhappy city — and the machinery of the Confederacy — going. Upper-class white women raised money for the army and processed the government's paperwork, printing currency and sorting mail. Working-class and immigrant white women manufactured cartridges and shells. Black women, both enslaved and free, worked in factories and military hospitals. Many men derided the "petticoat government" that was emerging in Richmond, wrote hospital matron Phoebe Pember. When Pember arrived at Richmond's Chimborazo Hospital, she overheard one surgeon say disdainfully that "one of them had come." They had no choice; Richmond was in women's hands. You've never heard of these five women. But each one of them — sarcastic matron, enigmatic spy, courageous mother, stunning socialite and doomed ordnance maker — left her mark on this city. Phoebe Yates Pember was a lady — something of a snob, truth be told. She didn't seem the type to get blood on her hands, much less clean maggot-infested wounds or pull a pistol on soldiers trying to steal a barrel of medicinal whiskey. Yet she did all these things. "She was very tough. 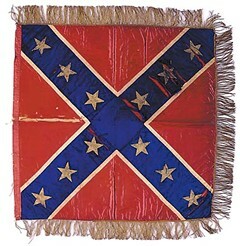 Very tough," says Robert E.L. Krick, a historian with Richmond National Battlefield Park. Pember was born to a prominent Jewish family in Charleston in 1823, educated well and married at the age of 33. Five years later her husband died of tuberculosis. In 1862, at age 39, Pember was offered a position as matron — akin to a hospital administrator — at Chimborazo, a sprawling complex in the East End. It was "rather a startling proposition to a woman used to all the comforts of luxurious life," Pember wrote in her memoirs. But she needed money, and so she accepted. With some squeamishness, she recounts cutting up a raw chicken for soup her first day on the job. She'd never butchered a bird. Within months, Pember was bandaging bloody wounds, writing letters for wounded soldiers and attending to dying men. One cold night in 1863, she was called to the bedside of a 20-year-old soldier, a "gentle-mannered and uncomplaining" fellow who'd been recovering from a broken leg for 10 months. Just that morning, the young man took his first steps with the help of crutches and a makeshift splint. But that night, he complained of pain, and Pember saw "a small jet of blood" spurting from his thigh. She plunged her finger into the hole to stop it. The sharp edge of the splintered bone had severed an artery, the surgeon said. There was nothing to be done. "How long can I live?" the soldier asked Pember. "Only as long as I keep my finger upon this artery," she told him. "You can let go," he said. Pember fainted, and "the pang of obeying him was spared me," she wrote. 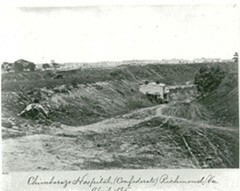 The enormous Chimborazo Hospital complex (below) suffused the city with “tainted breezes,” one reporter said; its 9 percent mortality rate, however, was lower than many Union hospitals. Pember served as matron for nearly four years at Chimborazo, through which 76,000 sick and wounded soldiers passed during the war. Her legacy is her memoir, "A Southern Woman's Story," which is remarkable for its unsentimental, vividly detailed and often funny description of life at the hospital. "We're so starved for this kind of material from Civil War hospitals," Krick explains. The slim book describes the treatment of horrific wounds, surgeons' disdain for female staff, and Richmonders' battle fatigue. It even includes a soldier's recipe for rat: "baste with bacon fat and roast before a good fire quickly like canvas-back ducks." When Union forces entered the city in April 1865, Pember continued to work at Chimborazo until her last patients were discharged. At the end of the war, she wrote, "I found myself with a box full of Confederate money and a silver ten-cent piece." She spent the 10 cents on a box of matches and five coconut cakes. The war left her with nothing. She left historians with much. Did Mary Jane Richards really spy on the Confederate president in his own home? 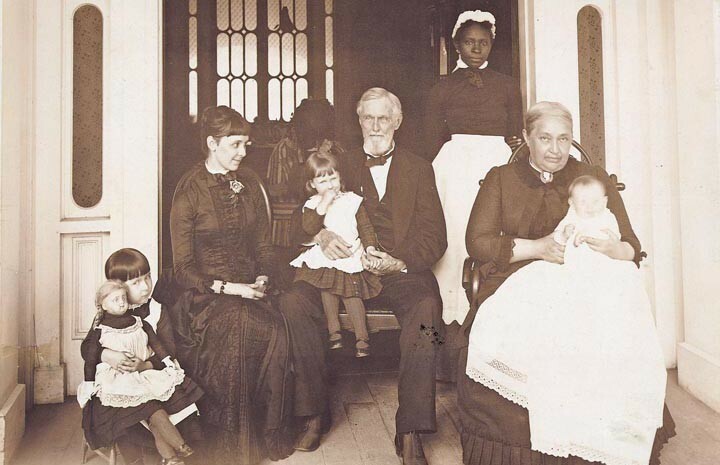 Here, two unidentified black servants are pictured with Jefferson and Varina Davis, their daughter and grandchildren years after the war. 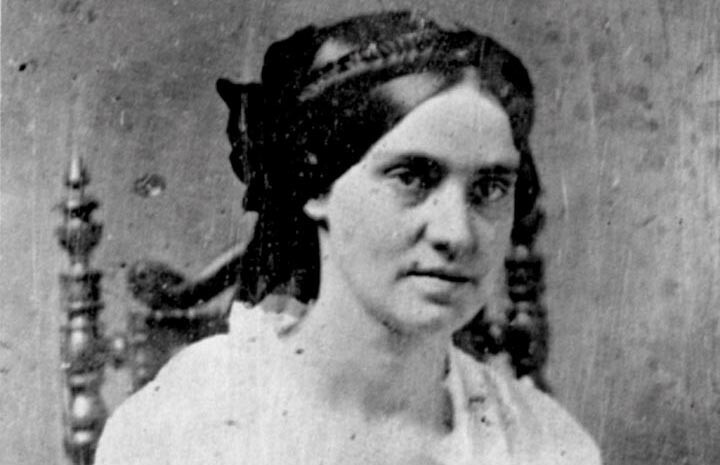 She was a Union spy in the very home of Confederate President Jefferson Davis. Or was she? Historians have struggled to separate the threads of fact from the legends woven about Mary Elizabeth Bowser. The best guess of Elizabeth Varon, author of "Southern Lady, Yankee Spy," is that the Bowser story, which first surfaced in the early 20th century, is a retelling of the remarkable tale of Mary Jane Richards, a servant of Elizabeth Van Lew. Van Lew was an unlikely spy: a Richmond society girl who loved the South but despised slavery. A favorite of Van Lew's, Richards was born a slave in the Van Lew household and later freed. Van Lew sent the young girl North to receive an education. Then in 1855 she dispatched Richards as a missionary to the African colony of Liberia. Richards, just 14 when she arrived, hated Liberia. After writing letters pleading with Van Lew to bring her home, she returned to Richmond in 1859. By doing so, she broke the law; any black person who'd left Virginia to be educated in the North wasn't permitted to return. Richards was arrested and thrown in jail. She was released when Van Lew's mother told authorities she remained a slave. Richards, who was known to use multiple aliases, married a man named Wilson Bowser in 1861. She remained in Van Lew's service until after the war, when she spent two years as a teacher and a founder of schools for freed slaves in the South. Nothing is known of her life after 1867. It wasn't until 1900, just before Van Lew's death, that stories began circulating of how she'd placed a loyal, well-educated servant as a spy in the Confederate White House. Years later, Van Lew's niece confirmed the story and identified the spy as Mary Elizabeth Bowser. The recollections of Scottish immigrant Thomas McNiven, another of Van Lew's Richmond associates, also mention her. "Miss Van Lew ... had contacts everywhere," McNiven told his daughter. "Her colored girl Mary was the best as she was working right in Davis' home and had a photographic mind. Everything she saw on the Rebel President's desk she could repeat word for word." In 1905 Varina Davis, the widow of the Confederate president, declared that this was flat-out impossible. "My maid was an ignorant girl born and brought up on our plantation, who would not have done anything to injure her master or me," Davis wrote in a letter. Only recently, another bit of evidence has come to light. An article from the Oct. 7, 1865, issue of the Anglo-African Magazine describes a lecture given by "Richmonia Richards," who recounted a life that mirrors that of Mary Jane Richards. In her talk, this Richards described an incredible incident. She went into Davis' house while he was absent, she said, pretending to ask for washing work. A clerk conducted her into the president's office, where she opened a drawer and read the papers within. "While thus employed Jeff. came in and inquired what she was doing there, but considering she was colored allowed her to go in peace." 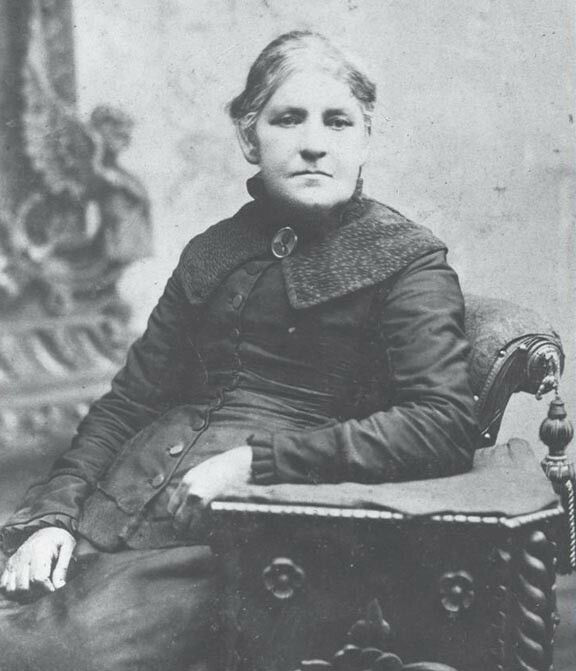 Lucy Brooks lost two children to slavery but helped save thousands more. The orphanage she founded after the war grew into the nonprofit Friends Association for Children. When Lucy Goode Brooks' owner died in 1858, her family was ripped apart as carelessly as an old dress is torn to rags. The owner's heirs sold Brooks and her three youngest children to a Richmond tobacco merchant, Daniel Von Groning. He made a deal with Brooks' husband, Albert Royal Brooks: Lucy and her children could live with Albert, who was owned by another master. But the Brookses also had four older children. To keep her family intact, Lucy Brooks made a desperate decision. She walked along Main Street, asking local businessmen if they would buy her sons and daughter and let them stay in Richmond. Three men bought her sons, promising they could live at home as long as they worked each day in Richmond's tobacco factories. A fourth bought her daughter, Margaret Ann Brooks, 18. He promptly sold her to someone in Tennessee, breaking his promise. Like her parents, Margaret Ann could read and write, and Richmond slave owners considered this dangerous knowledge. Lucy and Albert Brooks never saw their eldest daughter again. She died in 1862, far from home. This was the second time Brooks had lost a child; when she was younger, she gave birth to a son after her owner's son raped her. That child, too, was sold away. Albert Brooks labored mightily to protect the rest of his family. Using money he earned from working in a tobacco factory and as a driver, Brooks purchased a Richmond eatery and a livery stable (the rent-a-car of its day). Brooks eventually bought his own freedom for $1,100 (close to $24,000 in today's dollars) and the freedom of his wife and three youngest children for $800. The war was hard on Brooks' business. The Confederate government seized most of his equipment and all but one of his horses. 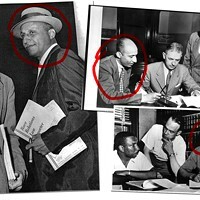 Just after the war ended, police arrested Brooks for failing to carry a required pass signed by a white person. Brooks had had enough. He joined other prominent black Richmonders in sending a statement of protest to President Andrew Johnson, resulting in the abolition of the slavery-era pass and curfew laws. Lucy Brooks found a compelling cause of her own: the African-American children in Richmond who'd been orphaned in the aftermath of the war. Many had been separated from their parents, just as her daughter and son had been, and then abandoned by their former owners after emancipation. Brooks persuaded her ladies' charitable group, the city of Richmond and churches, notably the Quakers, to support the founding of the Friends' Asylum for Colored Orphans in 1872. On a recent summer day, about 25 preschoolers splash in two wading pools at the Friends Association for Children in Jackson Ward. The nonprofit, the heir to the Friends' Asylum, provides child care and other services to low-income Richmond families. "I love the story of Lucy," says Cherry Peters, interim executive director of the Friends Association. Brooks suffered beyond enduring, yet had the strength and optimism to build an organization that would last 140 years. There's only one word for that, Peters says: "audacious." 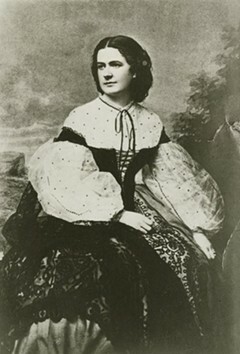 Hetty Cary’s beauty charmed North and South alike. “That woman could bewitch the angel Gabriel,” a Union general once remarked. Hetty Cary was Richmond's It Girl. With her brown eyes, auburn hair and perfect figure, she was said to be the most beautiful woman in the South. It didn't hurt that she was related to not one, but two prominent Virginia families of Virginia: the Randolphs and the Jeffersons. Cary, however, was more than a pretty face and pedigree. 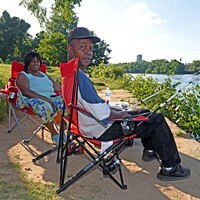 A Baltimore native, she was a staunch Southern sympathizer. According to legend, she waved a Confederate flag from her window while Union troops marched through Baltimore. "Should we arrest her?" one soldier asked. "No, she is beautiful enough to do as she pleases," his commander replied. Cary couldn't get away with such hijinks for long. Suspected by some of being a Confederate spy, Cary left Baltimore for Richmond early in the war. There, she and her sister Jennie lived with their cousin Constance Cary. Together, they were nicknamed the "Cary Invincibles." They became Richmond society's cheerleaders for the Confederacy, and Hetty a symbol of Virginia's sympathetic neighbors to the north. Cary once attended a party dressed as an allegorical Maryland in chains. Jefferson Davis cut the chains from her, and everyone clapped. The Cary girls also held meetings of the Starvation Club, a Tuesday-evening social gathering at which guests were served nothing but water. 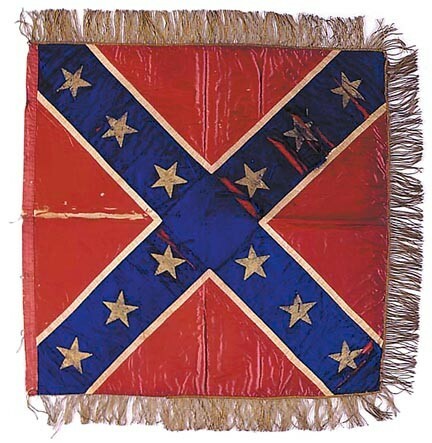 The flag sewn by Hetty Cary, one of the first versions of the standard that became a Southern icon, is on display at the Museum of the Confederacy. In 1862, Hetty Cary met John Pegram, a dashing 32-year-old Confederate lieutenant colonel with a not-so-dashing military record. Federal troops had captured Pegram and his regiment in August 1861. Pegram was imprisoned for six months, and then sent to Richmond to be formally exchanged for an imprisoned Union officer. Cary and Pegram got engaged, but their marriage was put off while Pegram was fighting for the Confederacy. After serving under generals P.G.T. Beauregard and Braxton Bragg, Pegram ended up in the Petersburg trenches. In late 1864, Cary's mother secured a pass to come to Richmond from Baltimore, and the couple quickly decided to wed. The wedding on Jan. 19, 1865, was the event of the year: the union of the lovely Miss Cary with Pegram, by then a brigadier general and "a son of Richmond universally honored and beloved," in the words of Constance Cary. Jefferson and Varina Davis, the president and first lady of the Confederacy, attended the ceremony at St. Paul's Episcopal Church, along with other Richmond notables. The reception was modest, Constance Cary later wrote, but "one felt in the atmosphere a sense of sincere gladness in happy love, very rare on such occasions." Pegram was killed at the Battle of Hatcher's Run outside Petersburg on Feb. 6, 1865, when a Minié ball struck him in the heart. The wedding guests gathered once more at St. Paul's for his funeral. The invincible Hetty Cary had been three years a fiancee, three weeks a wife. 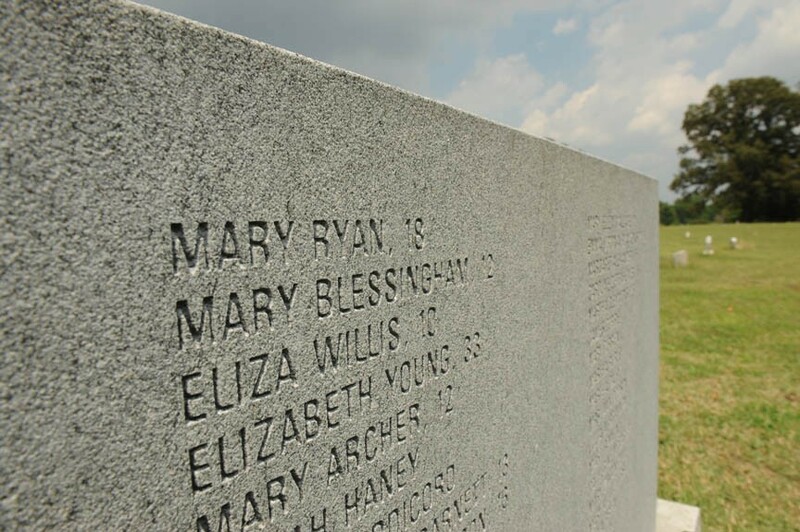 No stone can be found at Mary Ryan’s grave in Hollywood Cemetery, but her name is recorded in Oakwood Cemetery on a monument to the victims of the explosion. It was Friday, March 13, 1863, a chilly morning in a war-torn, hungry city. In a small wooden building on Brown's Island, women's fingers were flying. Some filled cartridges, some broke up defective cartridges, and others boxed up their completed work. Mary Ryan, an 18-year-old Irish immigrant, filled friction primers. These were simple but indispensable devices of war, used to light cannons. Each was made from a small brass tube filled with powder, with a wire loop at one end. An artilleryman would yank out the loop, much like striking a match, to ignite a chemical compound and set off the powder, which burned down the tube and fired the gun. One of the primers had gotten stuck in the wooden board that held it. Ryan turned the board upside down and rapped it against the table. It wouldn't come loose. She hit it again. And again. Next thing she knew, she was flying. 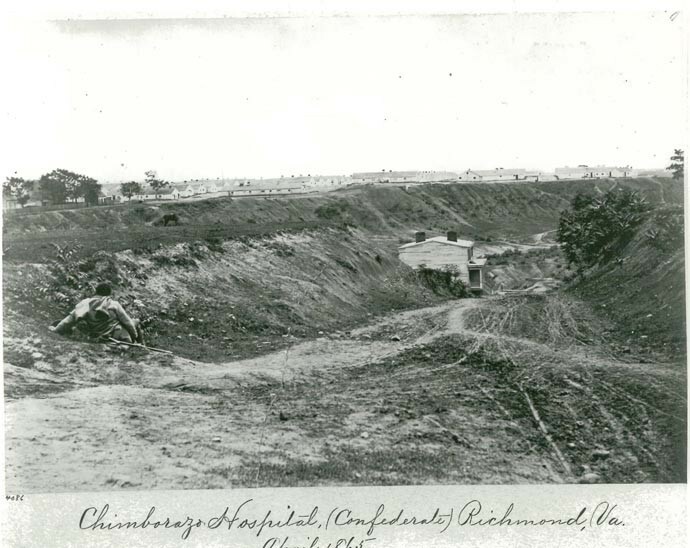 Richmond's Confederate States Laboratory was the main supplier of ordnance for Southern forces. Although contemporary news accounts praised its safety record, accidents happened regularly. When the lab was on Seventh Street, a trash-pile fire on the riverbank in September 1861 spread to the laboratory's fence, causing panic inside while workers stampeded for the doors. On Jan. 27, 1862, an explosion occurred in a room where several teenage boys were filling fuses, burning them terribly. Operations eventually moved to a new collection of buildings on Brown's Island. Men worked in the heavy ammunition department, packing large shells and cannon cartridges. Women, most young, white immigrants like Ryan, did the more delicate work of making cartridges, caps and rockets. Girls as young as 9 turned out 1,200 cartridges per day. When Mary Ryan hit the primer against the table, the resulting explosions threw her into the air, dropped her on the floor, and then lifted her again. The roof blew off. The walls collapsed. A long, dull roar echoed through Richmond. Ordinarily, a friction primer wouldn't have created such an enormous explosion, but the building was strewn with loose gunpowder, explains Andrew Talkov, exhibition coordinator for the 150th anniversary of the war at the Virginia Historical Society. Basic safety precepts had been overlooked by combining different types of ordnance work while the main laboratory building was being enlarged. "The most chilling account of the day," Talkov says, described a tide of Richmonders streaming toward Brown's Island, frantic to find their loved ones. Even to those hardened to the war's suffering, it was an awful sight. Twenty workers died immediately; about 25 suffered "the most terrible agonies, blind from burns, with their hair burned from their heads, and the clothes hanging in burning shreds about their persons," the Richmond Examiner reported. Several women whose clothes were aflame threw themselves into the frigid river. One drowned. On Sunday, funeral processions filled Richmond's streets. Many of the approximately 45 victims were teenage girls; one, Eliza Willis, was 10 years old. Ryan died Monday in her father's house in Oregon Hill. 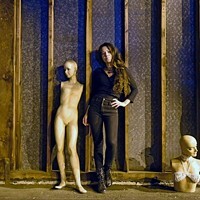 She was buried in Hollywood Cemetery. The Confederate laboratory facilities were rebuilt and continued to make ammunition through the end of the war. Three years later, writer John T. Trowbridge described meeting a young woman who'd survived the explosion, her face and hands "covered with cruel scars." Trowbridge asked her about the experience. 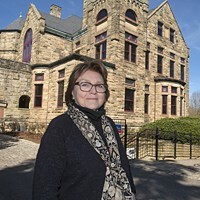 Thanks to those who assisted with research for this article: Gregg Kimball, Tameka Hobbs and Trenton Hizer with the Library of Virginia; John Coski with the Museum of the Confederacy; Bob Krick with Richmond National Battlefield Park; Elizabeth Varon with the University of Virginia; and Michael D. Gorman for his excellent Civil War Richmond site at mdgorman.com.